I have often written about my occasional need for “infrastructure,” and there is no stronger need than when I am hobbling around on wounded foot. 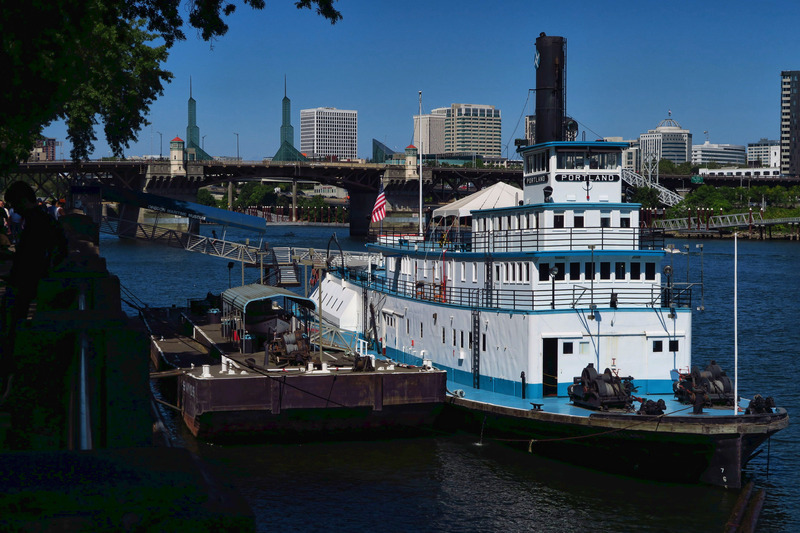 A week in Portland to be near a plethora of podiatrists (why does Portland have so many Foot Clinics?) readily available fresh and healthy prepared foods (ala food trucks!) and a long standing friendship with local Jane was just the ticket. Portland is one of my favorite cities. 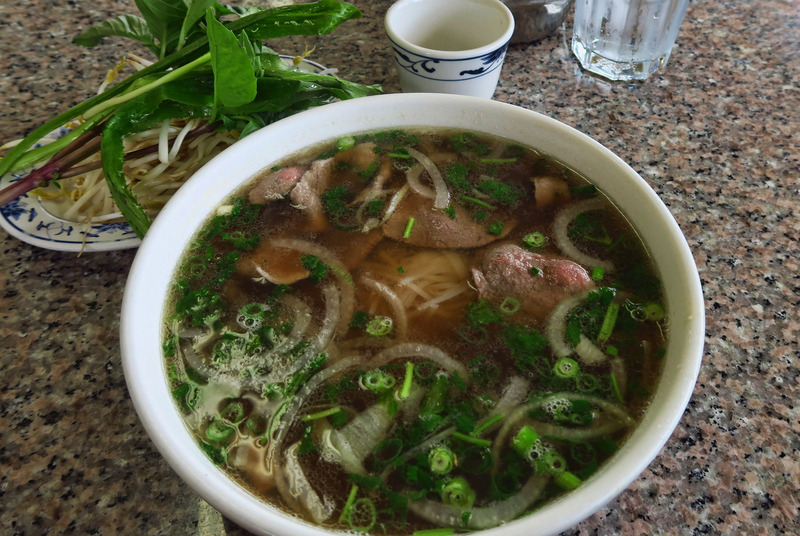 Had to get my Asian fix over a bowl of glistening Pho at Pho An Sandy. 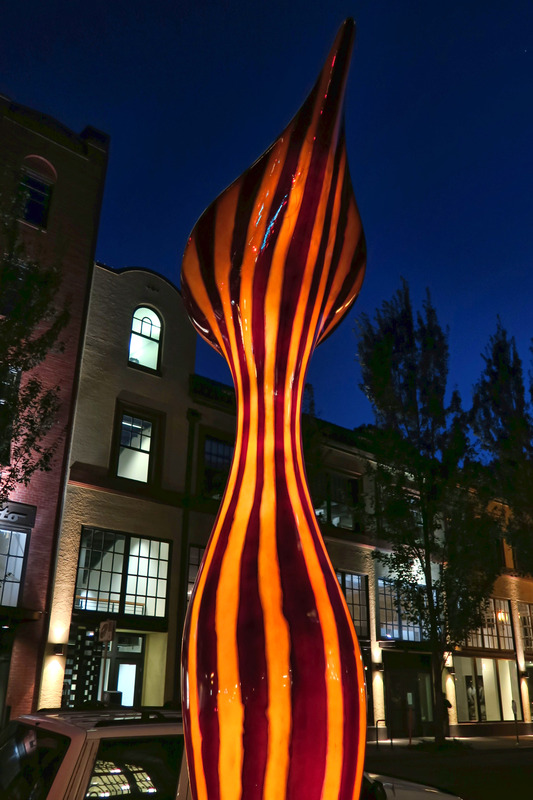 There are many of these sculptures in downtown. They light up at nighttime, powered by solar cells on top. The original “Keep Portland Weird” campaign was adopted from Austin, a slogan coined by the Austin Independent Business Alliance to promote small businesses. Since that time, there has been a running competition as to which of the two cities is “weirder.” I’m happy to report that Portland is doing an excellent job at maintaining its “weird” moniker. On the day of my appointment with the podiatrist, I was running late and left for my appointment with rows of Velcro rollers all over my head. “Why not? ?” I thought. If people embrace purple, blue, and chartreuse hair color, or spike mohawks so high that they have to tilt their heads to clear the door frame, why not a few rocket rollers?? Embracing one’s weirdness can be so liberating! 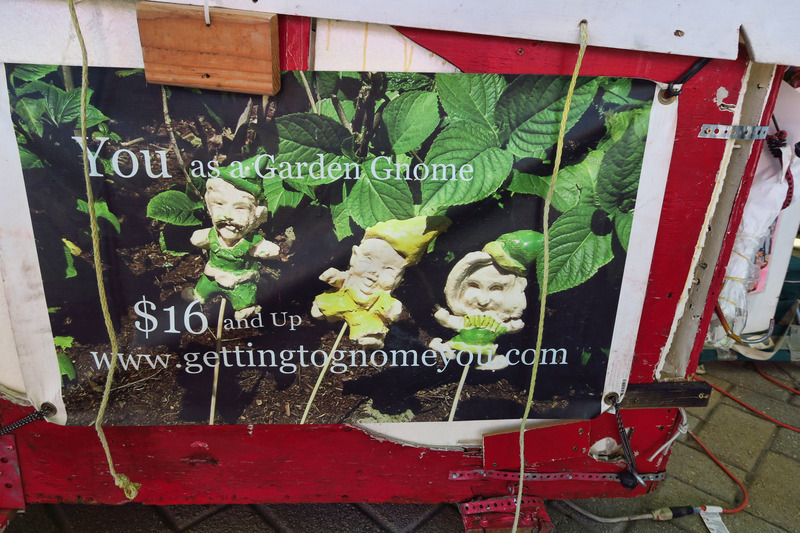 At Portland’s Saturday Market, one can get a garden gnome made from clay in their own likeness from a photo. 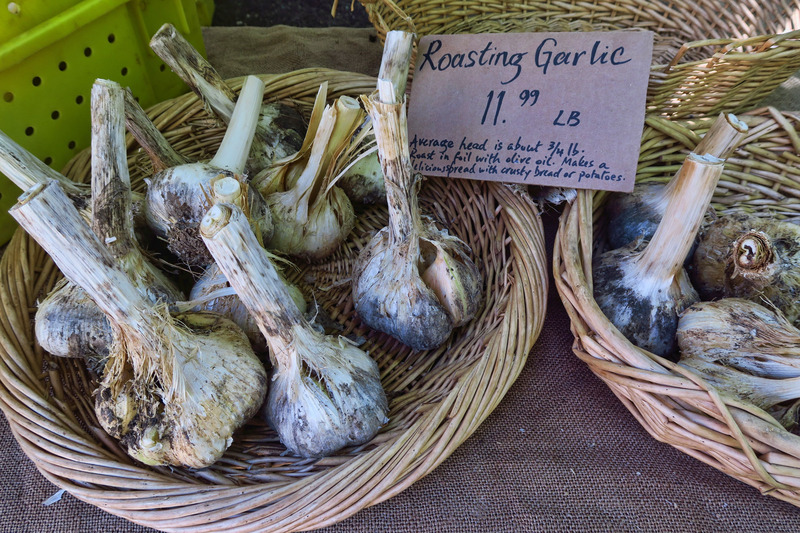 Wish I had put something in the photo for perspective, as these garlic buds are bigger than softballs! 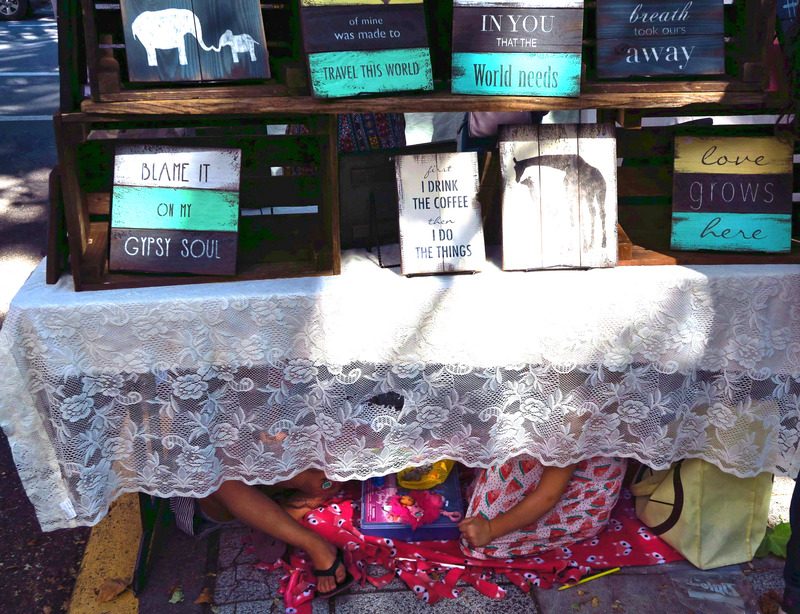 A table at the Saturday Arts Market. Note the secrets being exchanged beneath table. My intent for my Portland visit was to spend some time with long-time friend Jane, hanging out on her great back deck overlooking the hills, drowning my sorrows in some stiff cocktails. I also planned to revisit some of my favorite stops from the 2014 trip, like the Saturday Market, and cover a couple of places I missed last time, one of those being Powell Books. How could any old fashioned bibliophile bypass a bookstore with the words, “City of Books” in the name? 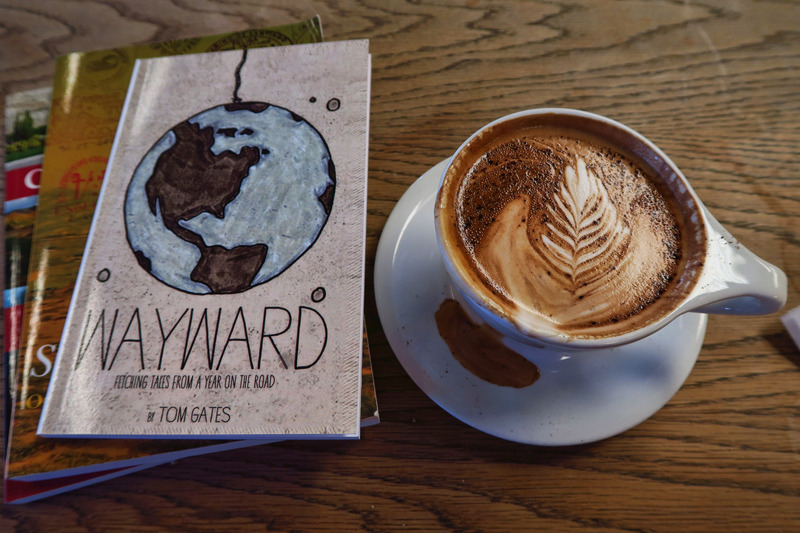 This trip, I visited not once, not twice, but what I figure to be a total of about nine hours amid “the stacks!” What better way to spend time nursing an aching foot than propped up in a chair with a latte and a stack of books to peruse? 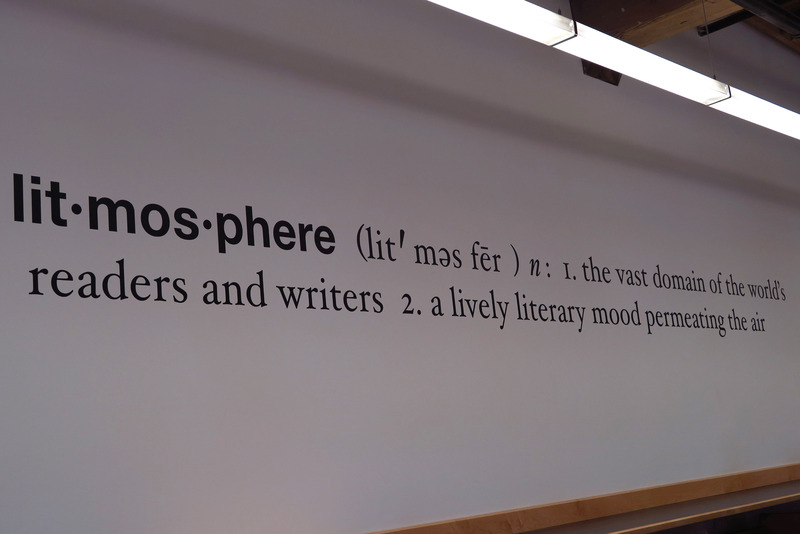 “Litmosphere,” as seen on the wall of Powell’s Books. My favorite happenstance in Portland was stumbling on to the Iranian Festival. When I visited the country of Iran back in 2009, I was blown away by the warmth and hospitality of the Iranian people. Every single day of my 14 day trip, there was some offer of hospitality; invitations to someone’s home for tea, or just to stop me on the street to engage in conversation and talk of their fascination with America. I was also enamored with their deep cultural ties to music, poetry, and dancing, much of which has been forbidden under the current regimen, yet still runs deep in the hearts of the people. 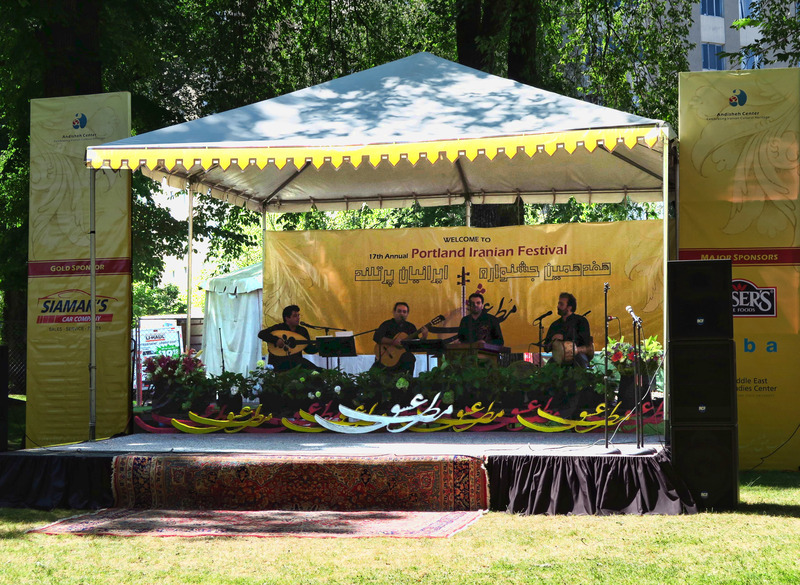 Visiting this festival in Portland brought back so many memories of that visit, as well as the lively spirit of the Iranian people. 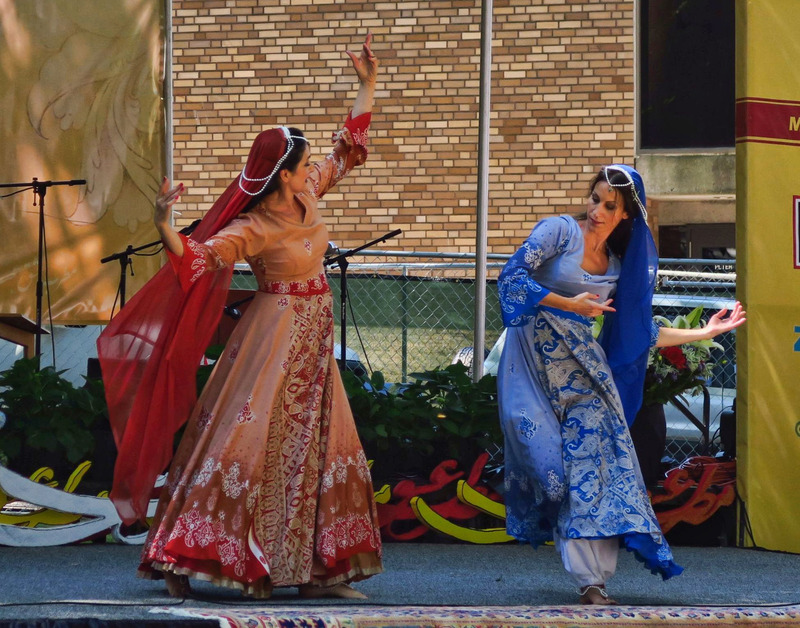 This type of modern dance is now forbidden in public under the current regimen in Iran. Only allowed behind closed doors. 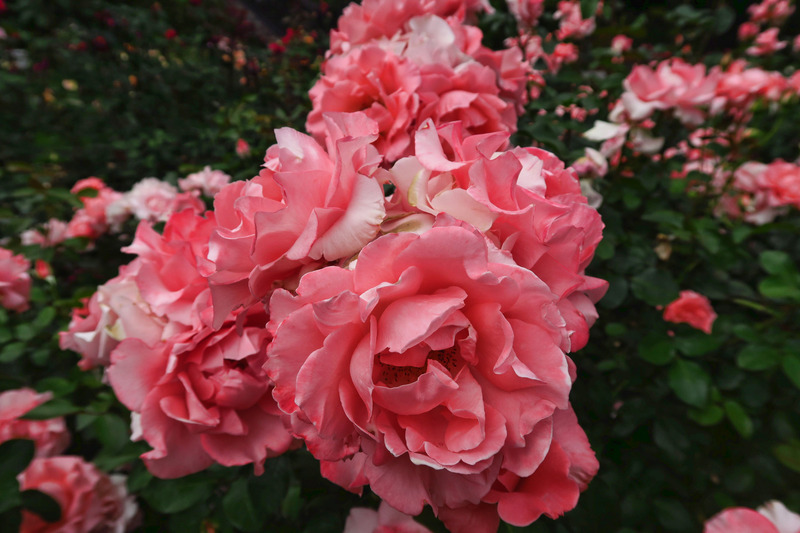 My other quest was visiting the International Rose Test Garden in Washington Park. 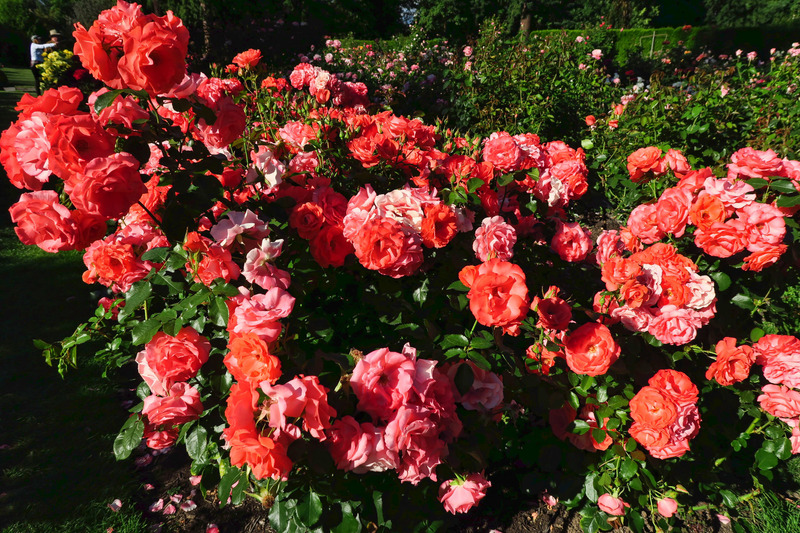 My gimpy gait now confining me within the 4.5 acres of roses, I was forced to slow down the hiking pace and linger longer along the tiered garden that looks out over Portland with Mt Hood in the distance. 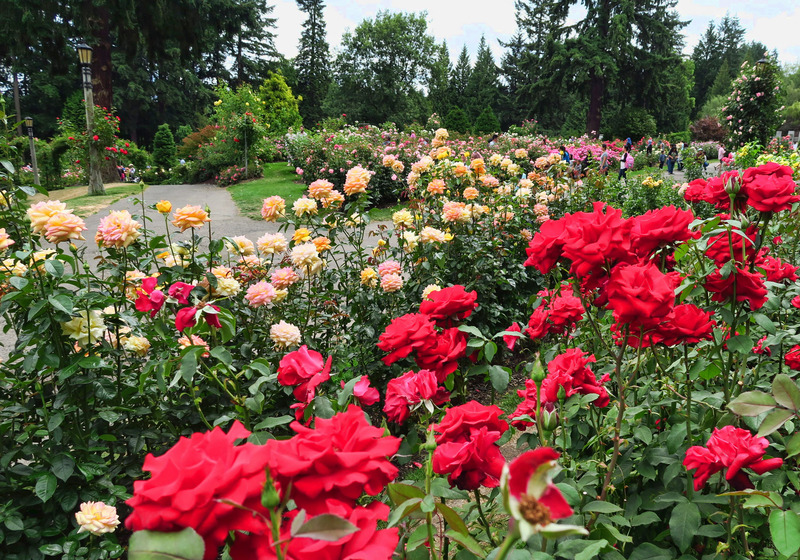 Portland’s International Rose Garden is largest I have ever seen. 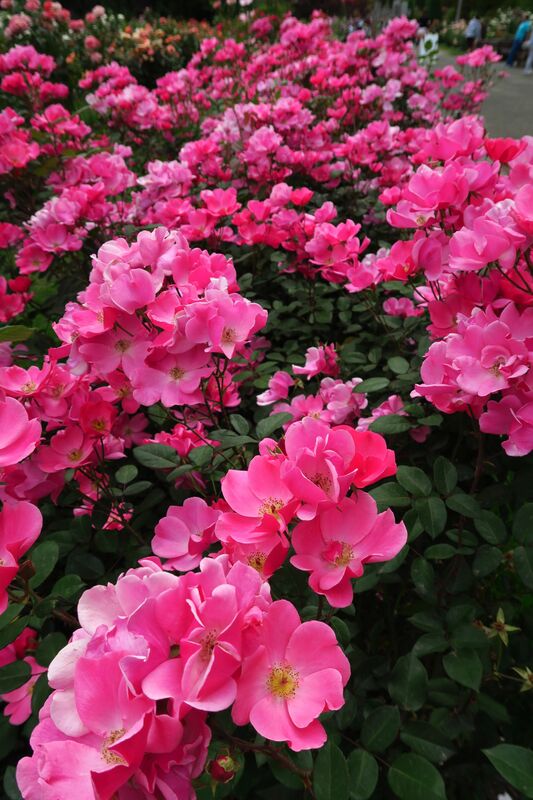 Over 8,000 individual rose bushes encompassing 600 varieties. 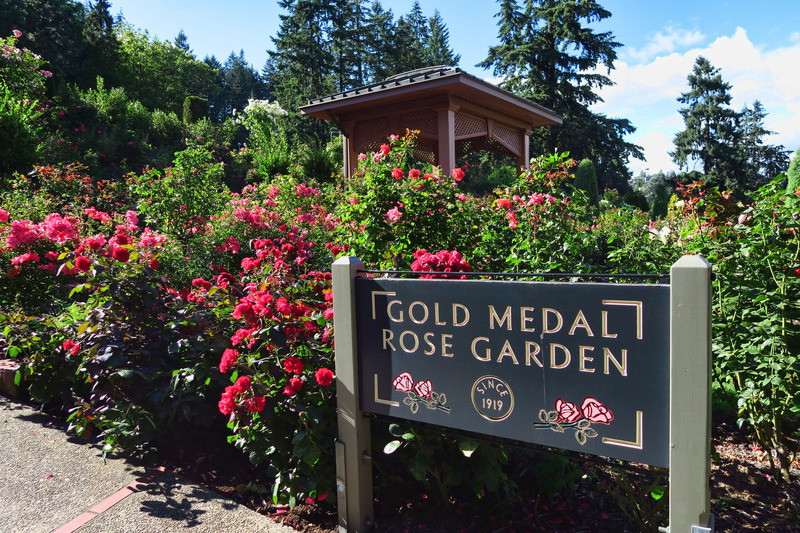 Gold Medal winners are those considered doing the best in the garden after 3-5 years. Adjacent to the rose garden is a concert venue. 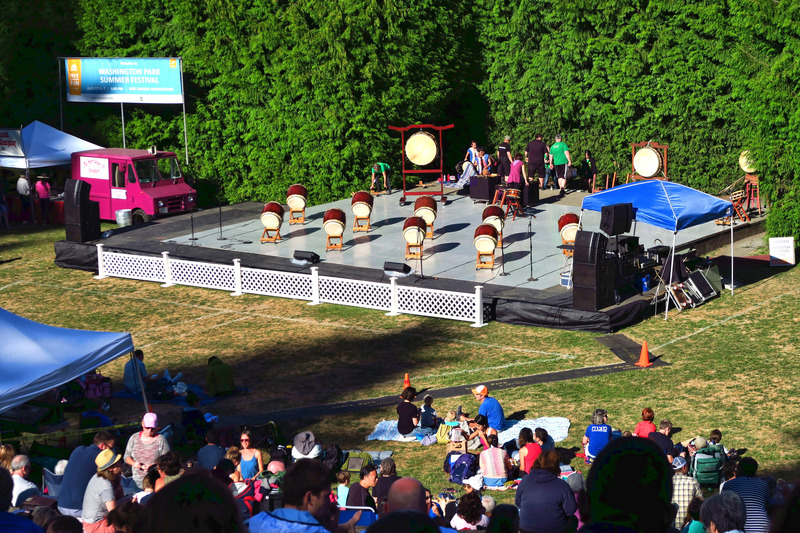 A Japanese concert is about to begin. 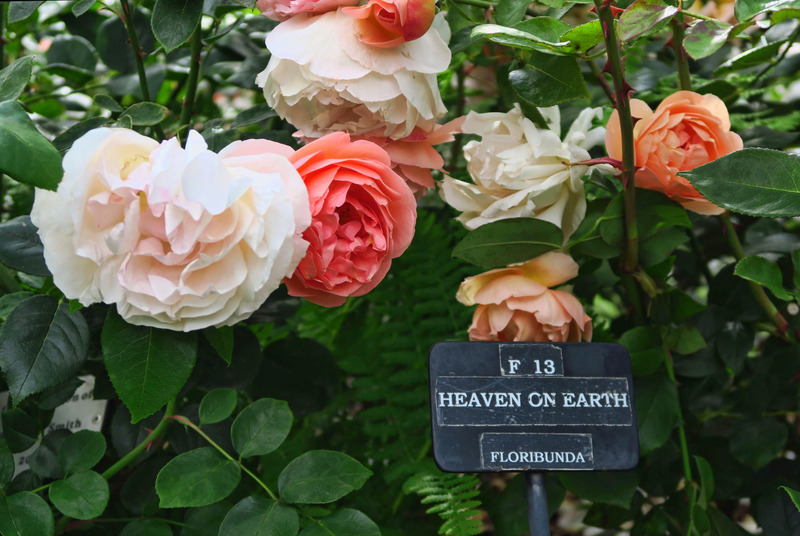 As I wander through the garden, I am awash in a flood of memories of the happy times and sad times marked by these harbingers of emotions. A wrist corsage from my grade school pageant. Bouquets of red American Beauties from my college sweetheart. The dozen yellow long stems left in the seat of my car for my morning commute by my former husband. 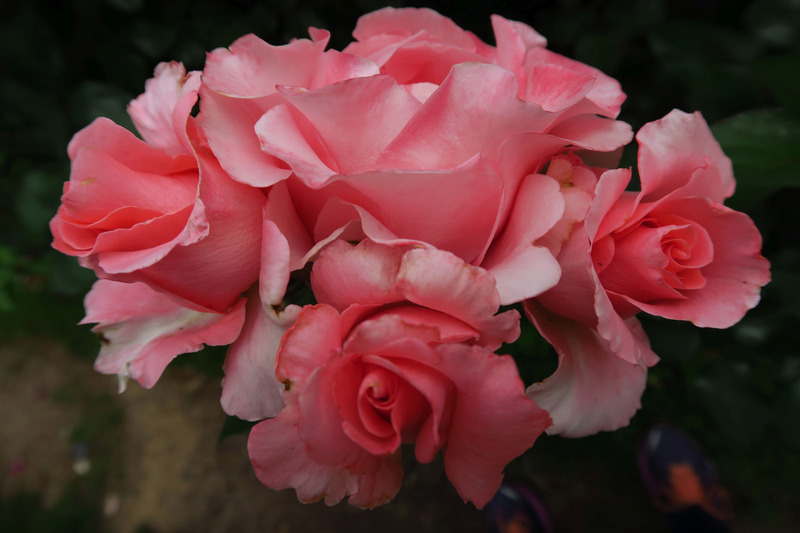 Valentines Days of yesteryear, my grandmother’s garden, the Knock-out Rose bushes my Dad brought home to Mom each Mother’s Day. 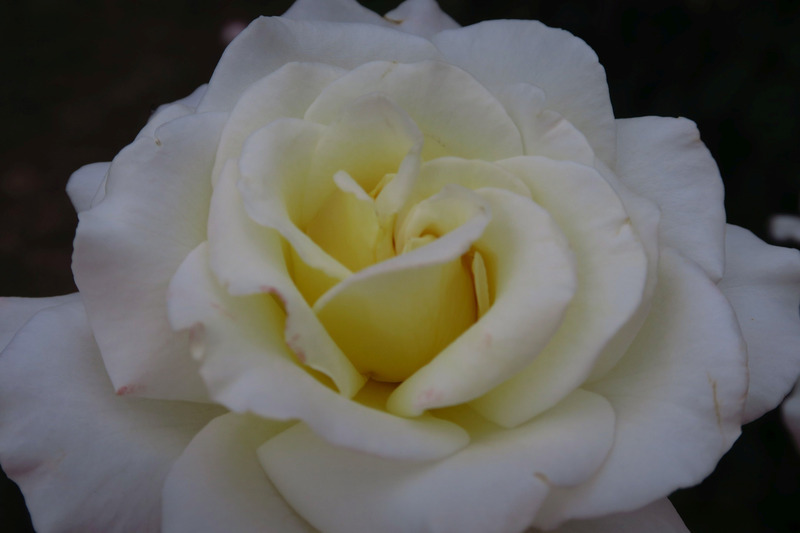 And most recently, the grief-stricken white rose from my brother’s grave, now dried and hanging over my Winnie door. 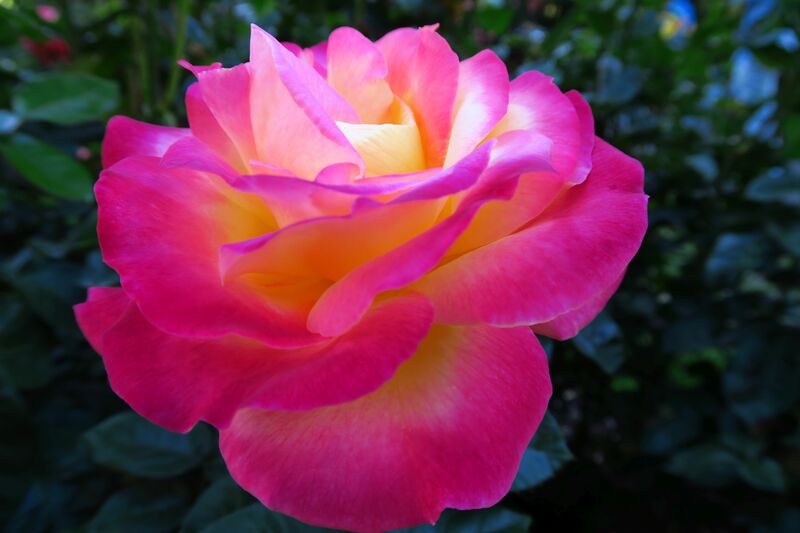 Before I know it, I am weeping in the rose garden, awash with memories all triggered by the intoxicating fragrance of the rose. 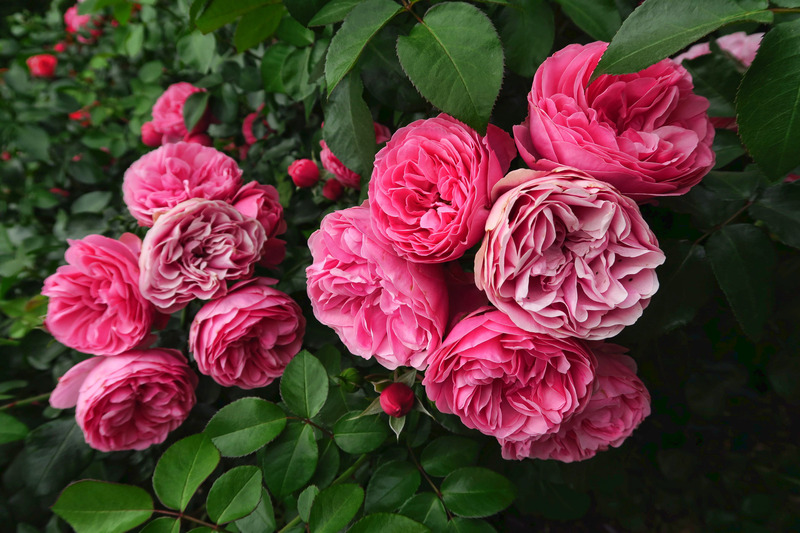 I spend the entire afternoon meandering up and down the rows reading the names, immersing my entire face into the cool, velvety blooms, breathing in the heady perfume, doing my own “test,” imagining ways to describe the subtle differences of their scents; always spicy and sweet, some with lighter citrus notes while others downright peppery. It was a weirdly wonderful week in Portland, and I loved all eight days of it. 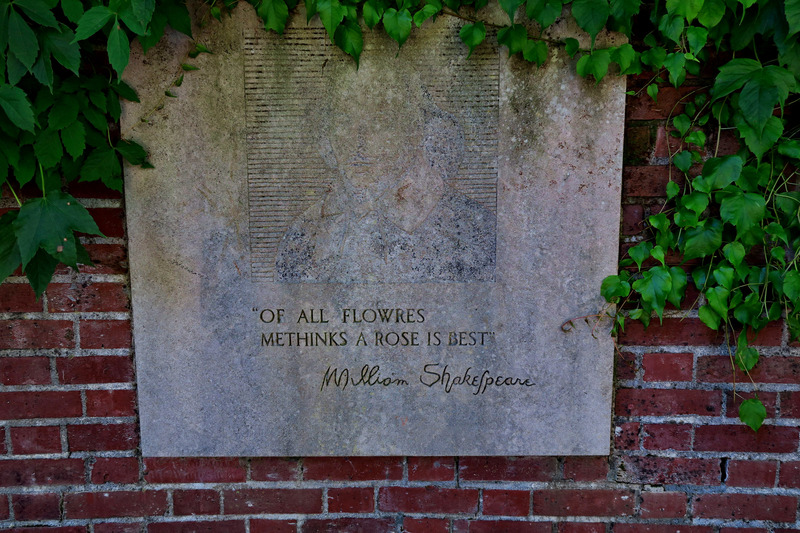 All rose bushes in Shakespeare Garden are named after Shakespearean characters. 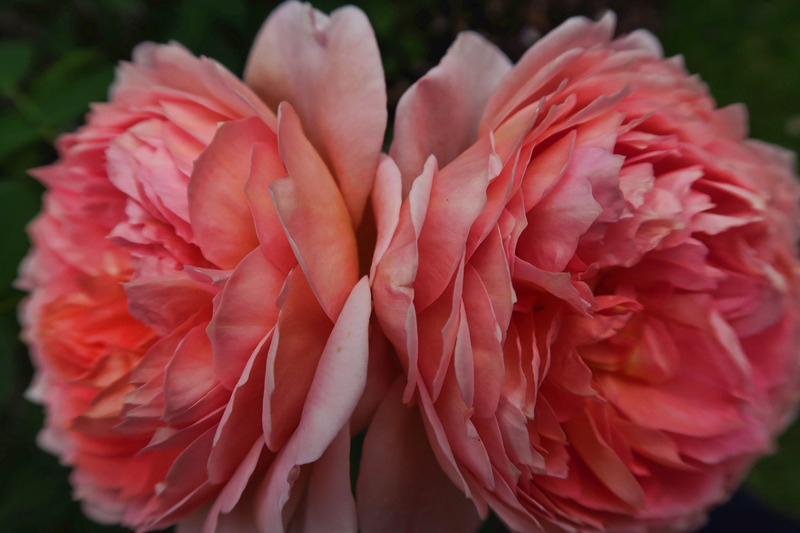 These blooms are bigger than my hand. 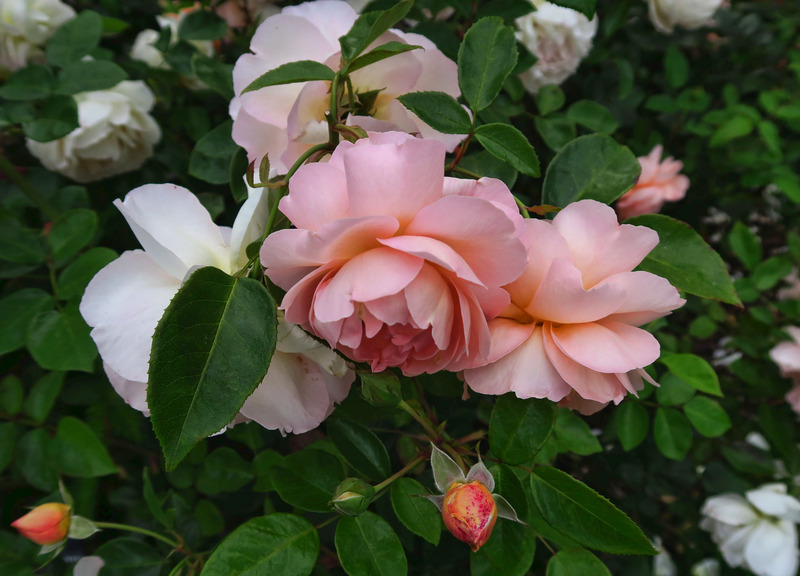 This entry was posted in Oregon and tagged International Rose Test Garden, Portland, Portland Saturday Market by Suzanne. Bookmark the permalink. We struggle with big cities. We know there is a lot to see there and some food that is to die for but we just can’t get around the crowds. As soon as we get into a bigger city we look for the nearest on ramp to get the heck out of there! 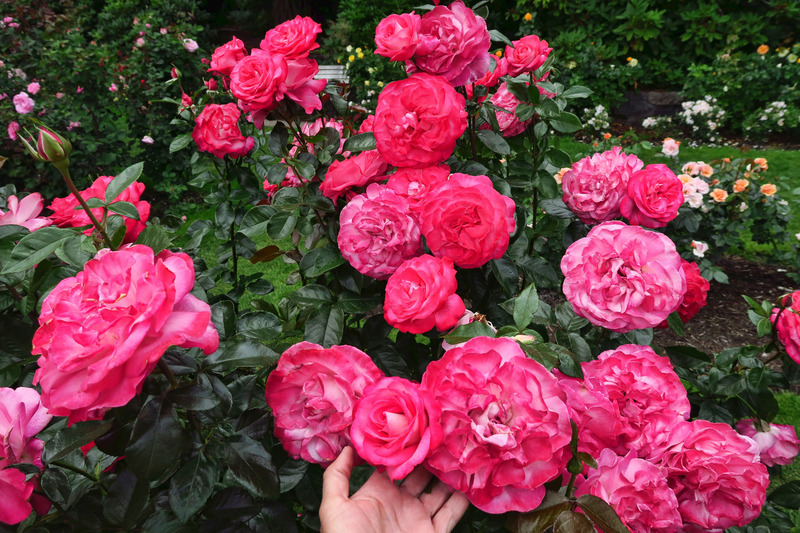 Beautiful roses and the culture there looks very interesting. Such a lovely post. 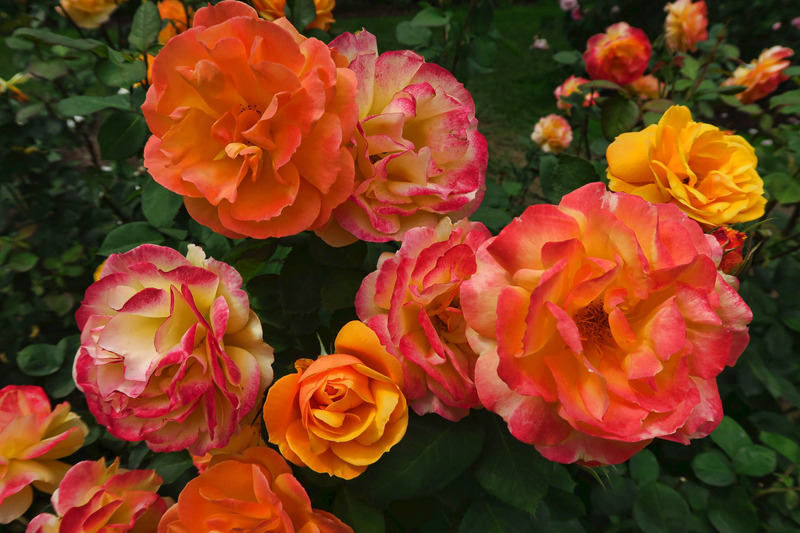 I can almost smell the roses. I do look forward to new adventures. 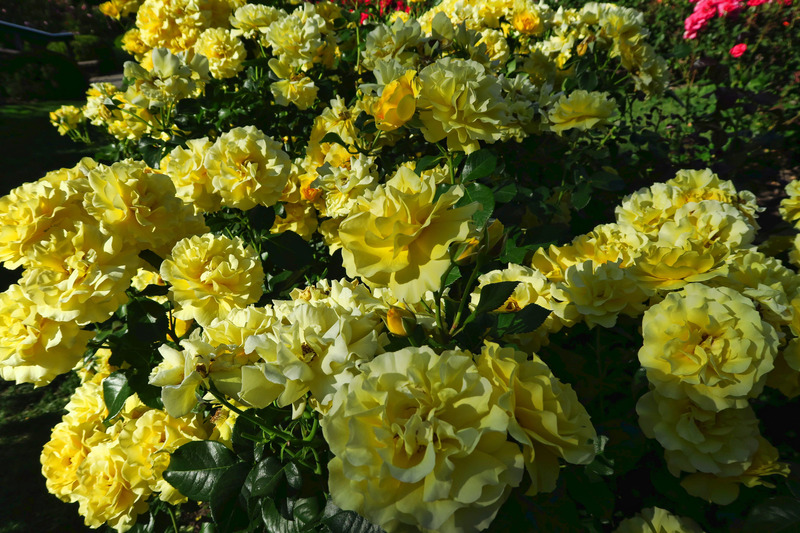 Never been to Portland, but visited the Buchart gardens and the weather there is so great for flowers. 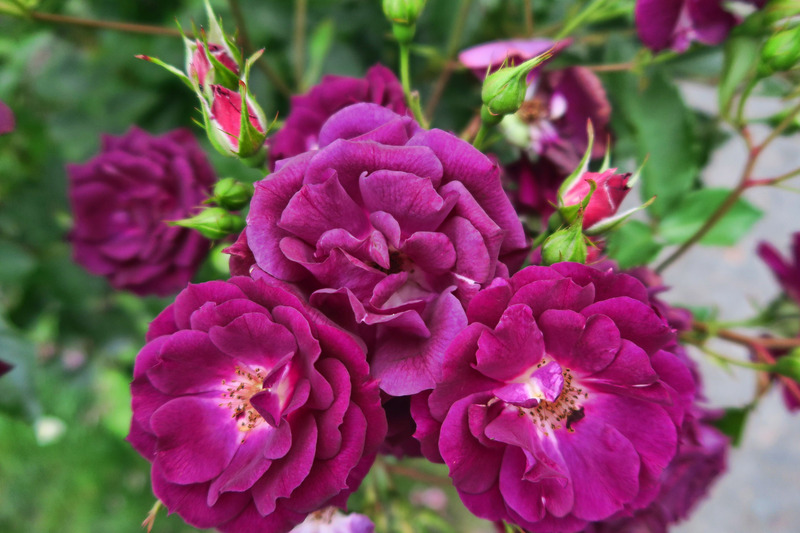 I have one knockout Rose and it struggles in the Texas heat. So fun reading following your posts and adventures. I started following you as you went through Astoria last time. Such a well written post. Nice to see you back enjoying the Portland. What a nut urine environment you found/createn for rest and recovery. Nicell done. Good to read this post… I was afraid your recent trials might have pushed you love the edge to “dropping out.” It seems almost everything you write about triggers similar memories and emotions. 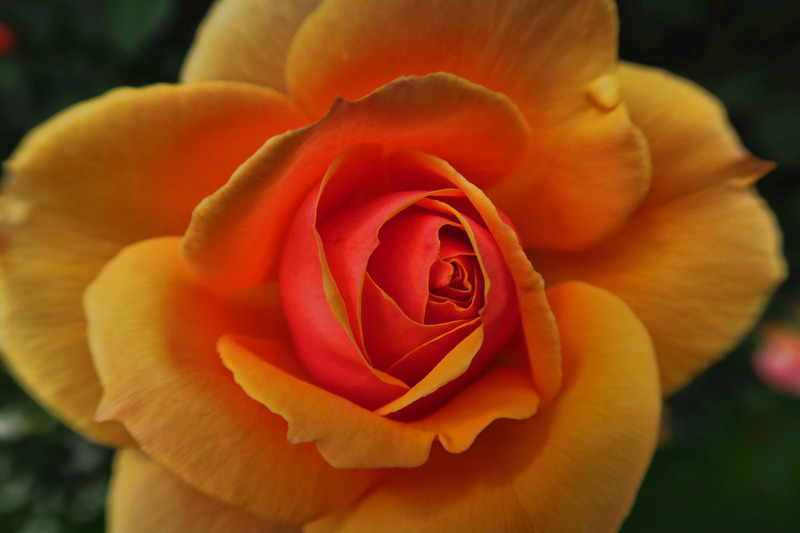 As a kid, I remember hating the smell of roses after sis died… it reminded me of the funeral home and the smell in our house from all the “sympathy bouquets.” Your writing probes the depths of those in your audience, and that’s a good thing. Keep it up, and get well SOON !!! I am behind on your recent trials so need to catch up. But am so happy you were able to make lemonade out of lemons in Portland! I live that city and the surrounding area. Hope things are going better for you! I’ve been thinking of you this week, Suzanne, hoping that you were feeling better. 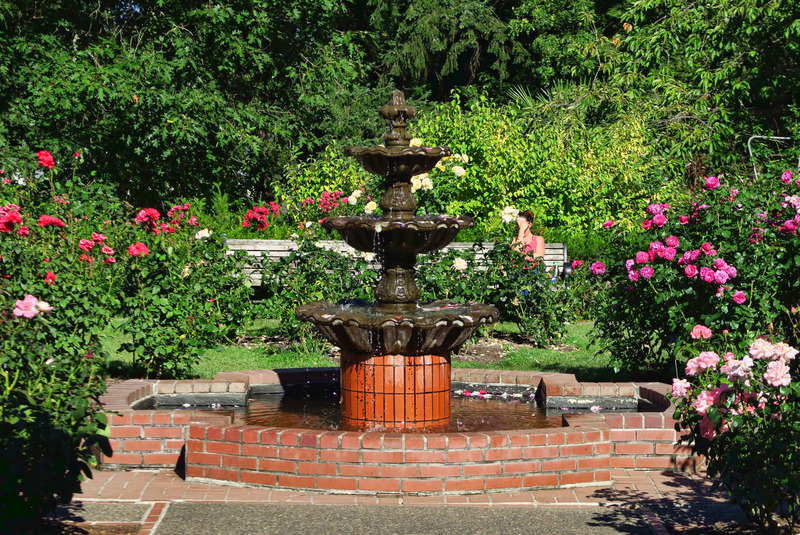 We love Portland, too—it seems like the perfect locale to restore your spirits while you give your foot a rest. 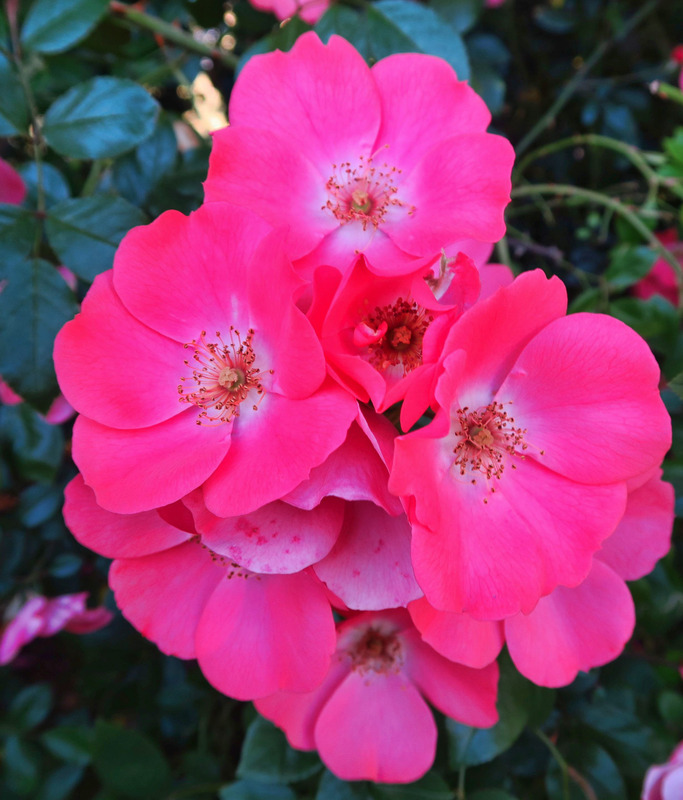 Spending time browsing in Powell’s and meditative reflections in the beautiful rose gardens are good medicine. Don’t know if you’ve been to the Chinese Garden, but it’s beautiful, too—the teahouse is lovely. Way to go heading out in your velcro rollers—you probably started a new trend! 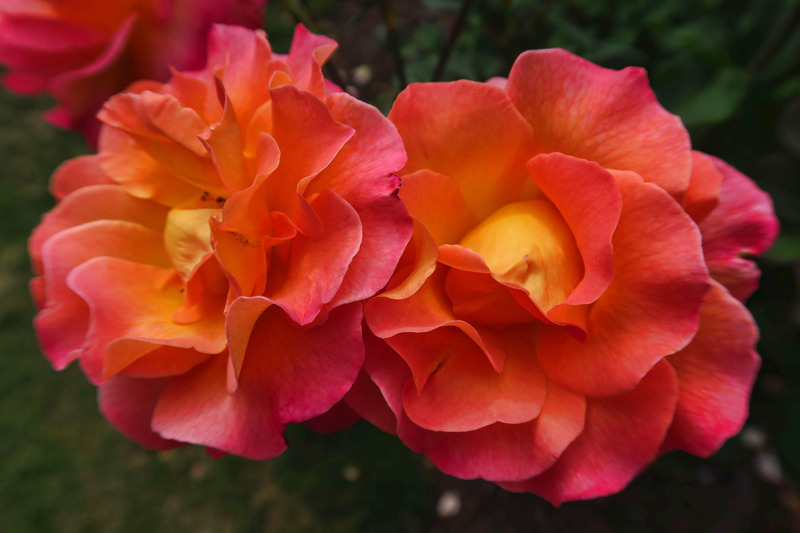 I love Portlamd too and totally fell in love with the Rose Garden…and all the weirdness. I go find it interesting how random things trigger our memory…often in places and moments we don’t expect. It’s bittersweet…both hard and healing at the same time. Oh man, I had hoped your foot was healing quickly! 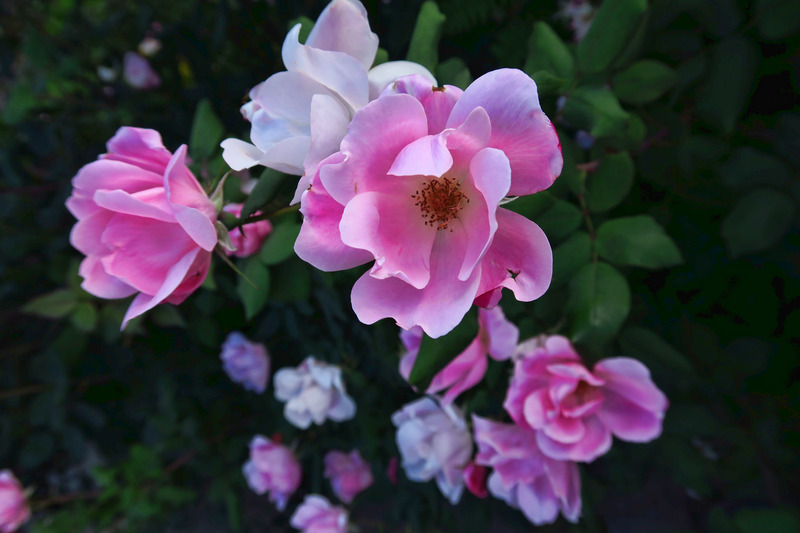 I have always heard what a beautiful city Portland is and how gorgeous the roses are. Your pictures and stories back that up. When things aren’t going as planned, you always find a way to make the best of it. Hope that foot is at least feeling better! Thank you, Rachel — Duly noted! Mixed emotions regarding Portland. A beutiful city, no doubt. Although I never lived there, I was born there, as was my mother. She is buried there. My grandparents lived there for 50 years. I have visited there too many times to count. I have LOTS of memories. Not all good. In the end, my politics are WAY to the right of Portland’s. So, it’s just as well that we prefer the wide open spaces. At present, we’re in the Wallowas. Although in Oregon, some Oregonians we have met have never heard of “The Wallowas”. It’s more than beautiful here. Sounds like you’re on the mend, however slowly. Happy Trails and travels. We too love Portland and all that city has to offer. The older I get the more I embrace my inner weirdness. Hope your foot is back to hiking shape soon. So happy that you were still able to enjoy Portland despite you foot. 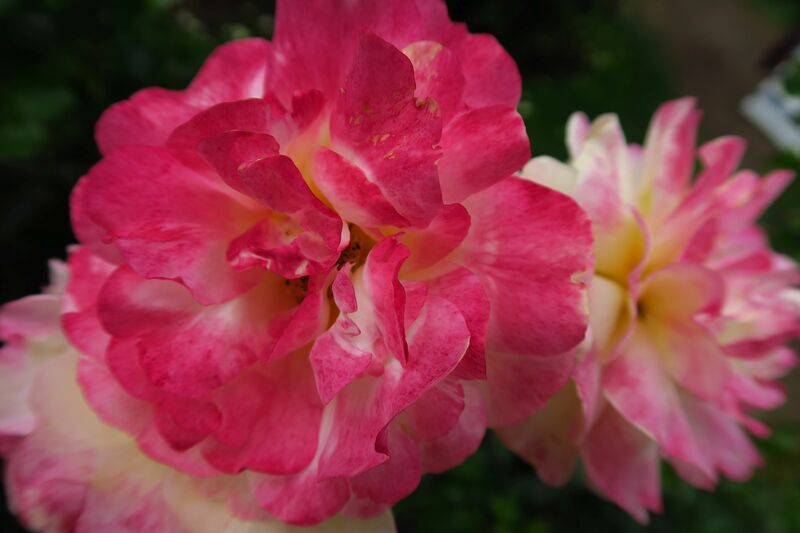 However I was sad for your memories in the rose garden. If it is still bothering you I suggest finding a pedorthist such as http://www.okaped.com/. I developed plantar fasciitis many years ago while living in Acapulco one winter. I wore only flip flops or bare feet. The pain in the one foot was beyond bearable. My orthopod sent me to Okaped where they fitted me with a boot that had my foot bent at a slight angle towards my leg. I had to wear it every night for 2 months. During the day I either wore orthotics which I hated so instead I discovered Mephisto sandals which I now still wear every day. At the end of the two months the pain was gone and here I am 10 years later pain free. One can never ever go barefoot again, well except on the sand at the beach in Mexico. Good luck with it all. As US cities go, Portland is my number two behind San Fransisco. It has a different funky vibe in each district. 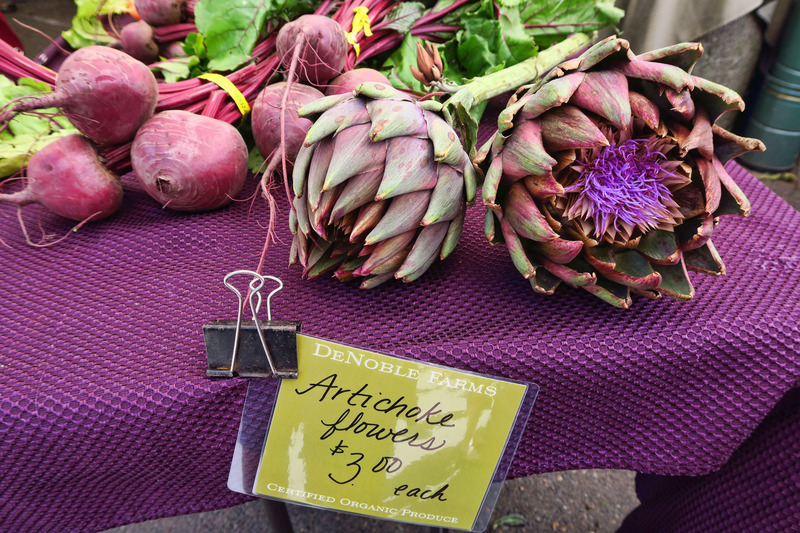 The market is marvelous, Powell’s a perfection for a bibliophile, and such a variety of festivals and cultures. 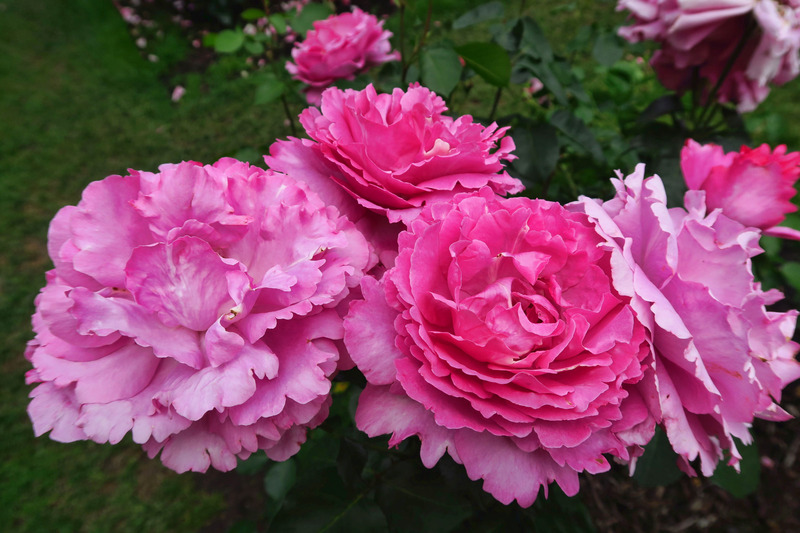 Haven’t been to the rose gardens but could smell them right through the screen. Hope your foot is healed. 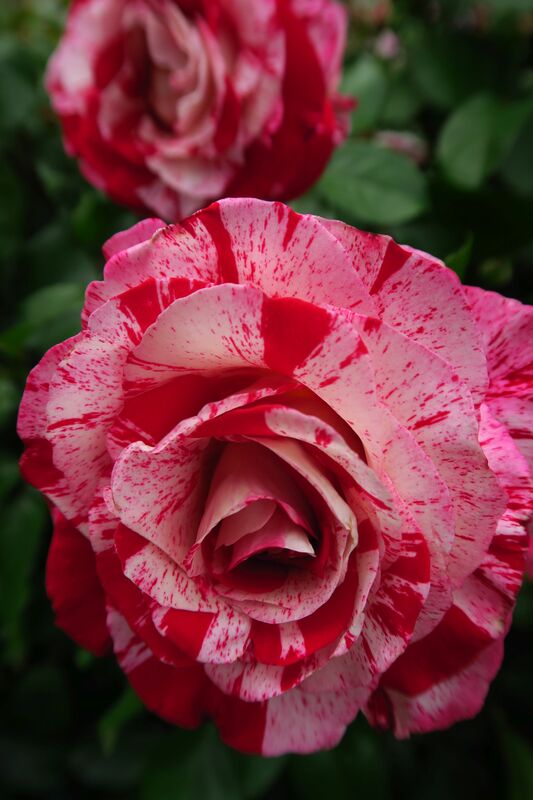 Just love the pictures of the roses. thanks for sharing. 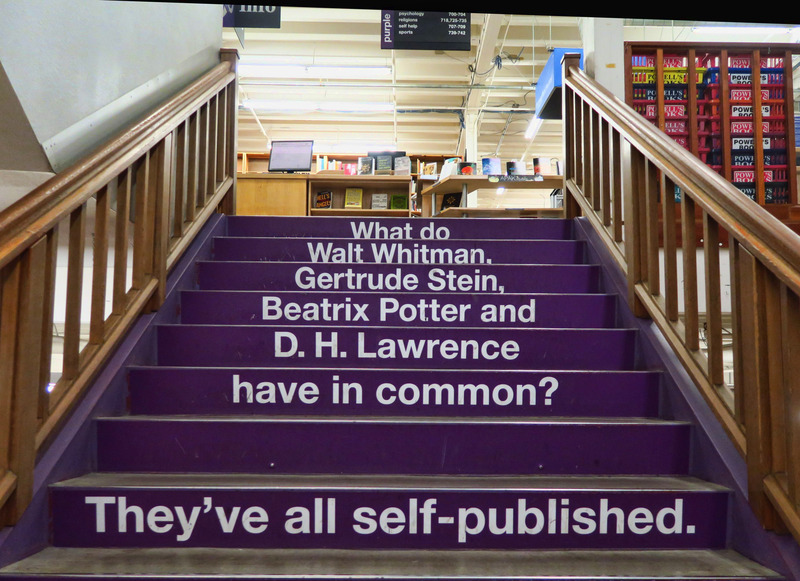 Will have to add the bookstore to the bucket list. 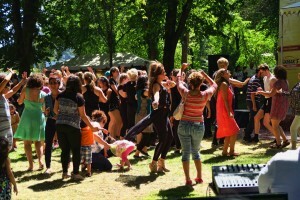 Very sad that the Government of Iran feels it has to ban something so energising as dancing. We are all so lucky we live in more liberated countries. Hi, Jane — Yes it is sad indeed. Iran is a theocracy, meaning there is no “separation of church and state.” Their religion is also their government, therefore dancing is banned. There are religions here in the USA that also ban dancing. Thank goodness we have separation of church and state!